Dubai is a renowned financial and business hub, but its rise to global prominence is in many ways rooted in the entrepreneurial spirit of pioneering businessmen and traders who took the leap into the unknown during the city’s early days. Today’s high-rises and gleaming skyscrapers are a far cry from the small desert community where far-sighted entrepreneurs believed in the city’s economic fortunes and invested in small-scale trading firms, which today have grown into successful global businesses, largely through sheer determination and hard work. 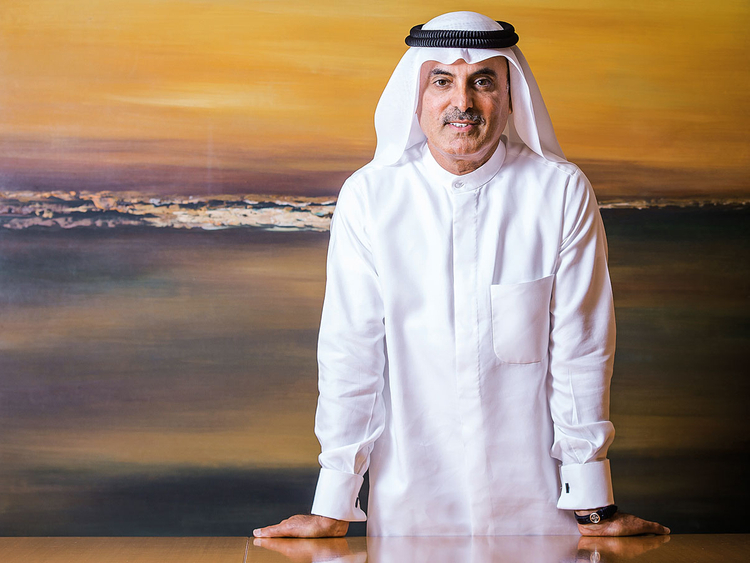 One family that has been at the heart of the financial and economic transformation of the Emirate for several decades are the Al Ghurairs, who have built a conglomerate that spans business sectors from cement and bottled water to banking and food manufacturing. In 1967, Mashreq, the oldest bank in the country, started operations to support small businesses at the souq on the Deira side of the city’s creek. Why are entrepreneurs crucial to future of economies in the region, including the UAE? In today’s fast-changing world, a single idea can overturn an industry. When entrepreneurs are able to innovate, they drive economic growth and create jobs. These small and medium-sized enterprises (SMEs) also help create opportunities for related industries. In the UAE, small businesses are an engine of growth, creativity, and innovation. According to the Ministry of Economy, SMEs represent more than 94 per cent of the total number of companies operating in the country and provide jobs for more than 86 per cent of the private sector’s workforce. In Dubai alone, SMEs make up nearly 95 per cent of all companies, employing 42 per cent of the workforce and contributing around 40 per cent to Dubai’s GDP. In today’s fast-changing world, a single idea can overturn an industry. When entrepreneurs are able to innovate, they drive economic growth and create jobs. As the region seeks a more diversified and sustainable economy, entrepreneurs have to be supported as the main driver of innovation for a sustainable and prosperous future. Furthermore, entrepreneurs can elevate the standard of living of the people by providing new solutions, which in turn enhance the general happiness and well-being of their communities. Most importantly, entrepreneurs can be agents of social change. With their innovations, they allow for us to break away from traditional solutions, thereby improving the quality of life and morale of the communities they operate in. The future of the UAE’s economy will be led by innovation. How can governments and private institutions support it? I feel the UAE government is already doing a spectacular job of fostering a culture of innovation in the country. A testament to this is that the UAE is ranked 11th in the World Bank’s Ease of Doing Business out of 190 global economies. This achievement is the result of the various reforms put in place by the government. Private institutions can do more to back entrepreneurship and innovation by supporting local businesses. At Mashreq, we recognise the need of SMEs for trade and working capital finance and we support business growth and development in the UAE. However, what’s equally important as financial support is knowledge sharing. We work with SMEs to ensure they find the right solution for their business, which is delivered in the most effective and efficient manner. Through our flexible working capital and financing, we provide overdrafts and short-term loans. However, it is critical for private institutions to extend support that goes beyond just funding. How impressed are you with the achievements of Emirati youth, and what more can be done to encourage their development? Today’s Emirati youth are increasingly aware that quality education is key to unlocking their full potential. In a digital era, there is a heightened awareness around careers in STEM (Science, Technology, Engineering and Mathematics)-related fields, which means a substantial number of the next generation of engineers and doctors will be Emiratis. This is critical as the nation progresses towards becoming a knowledge-based economy. The importance of the participation of Emirati youth in this transformation cannot be understated. 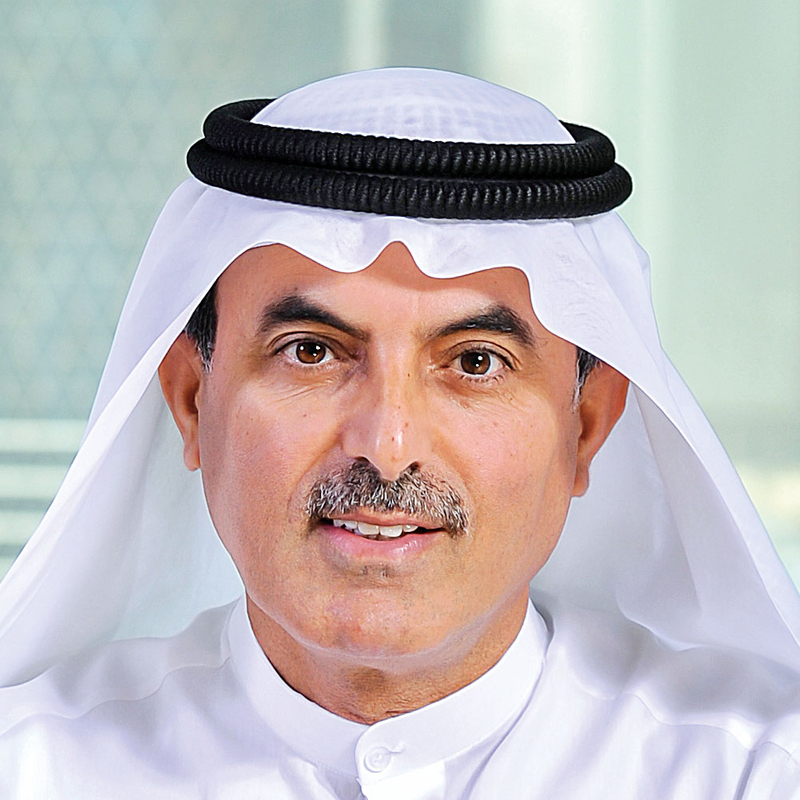 My father was of the firm belief that the biggest challenge facing Arab youth is access to quality education and with that in mind, we have committed to ensuring that within the next decade, 5,000 Emirati students make the transition from secondary to higher education through the Abdulla Al Ghurair Foundation for Education. How can entrepreneurs attract top talent and the financing they need to grow? As an entrepreneur it can be challenging to attract top talent or secure financing and it all boils down to costs. However, there are ways to attract top talent to your business despite financial restrictions. In my opinion, if you build a company culture that appeals to talented individuals, then they are more likely to give your business precedence over monetary considerations. That said, building a solid company culture is not something that is easily accomplished, and it makes for a good business strategy for entrepreneurs to think about it from the outset. Financing, meanwhile, requires more than a promising balance sheet and lofty sales projections. While the expectation of healthy return on investment is indeed a driving factor, a lot of investors also take into account whether the entrepreneur in question, and their company, are aligned with the values and culture they adhere to. So it is worth defining what you and your company stand for and then approach investors who reflect similar values. There is greater synergy and consequently a higher likelihood of securing funding or support. As CEO, how do you harness Mashreq Bank’s entrepreneurial spirit in leading innovation in the banking sector? At Mashreq Bank, innovation is at the heart of everything we do. We always ask ourselves: ‘Is there a better solution?’, or, ‘how can we improve upon what we are doing?’ Ultimately, the end goal of our innovation is to empower the lives of our customers, making it easier, simpler and faster. Through our innovation-led philosophy, we believe in combining the entrepreneurial spirit of a start-up with the strength of a traditional bank to make Mashreq the UAE’s progressive digital banking leader. Emiratisation is something that you have pursued actively at Mashreq Bank. Why is investing in local talent important? At Mashreq Bank, we believe it is our social responsibility to ensure that we strengthen our community and as an institution with its roots in the country, Emiratisation is an area to which we pay special attention. We deploy significant resources towards the recruiting, training, developing and retaining of UAE national employees in our organisation. To this end, we have signed a Memorandum of Understanding with the Higher Colleges of Technology (HCT), Zayed University, which has established several tailored programmes for students that give them working benefits and experience while studying. Investing in local talent is critical for any country as not only does it bolster the economy, but also creates quality human capital that is necessary for progress. Furthermore, investing in local talent means that Emirati values permeate into the work sphere, ensuring that our values as a country are preserved and inform the way we do business. This is extremely important to build a national identity that we are proud of. For any country, the quality of its human capital is its biggest asset it can have, and we are privileged to support that cause to ensure the UAE’s transition to a knowledge-based economy.